Guaranteed Fun with Obstacle Course Hire! 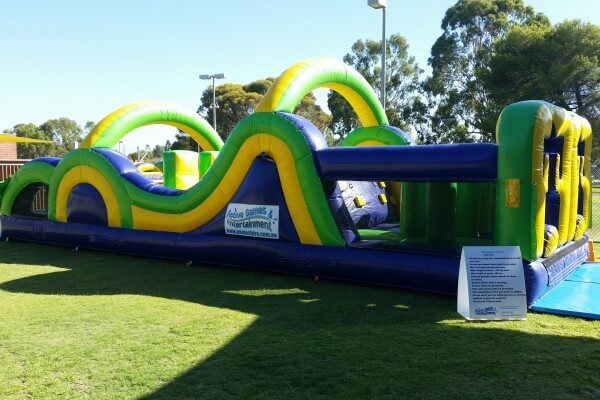 There’s no shortage of fun with Perth’s favourite inflatable obstacle courses from Active Games and Entertainment, Perth’s inflatable water slide and giant games specialists. We can provide a range of obstacle courses guaranteed to bring hours of fun and get everyone moving, such as with our new Surf’s Up course – just add water for some fun for people of kids and adults alike! Based in Perth for over a decade, Active Games and Entertainment is one of Perth’s best and renowned giant games and inflatable hire companies. We provide a solution for your party, event or corporate function, keeping your clients or guests entertained for hours on end with energetic, active fun. Inflatables and giant games aren’t just for entertainment, many of our clients also use them for team building, ice-breakers, skill testing, and positive social interactions. Whether it’s a private backyard party or a national corporate conference, Active Games has a solution to fit your function to get the fun happening! We deliver all of our durable and quality made inflatables to your door, we can also assemble your chosen inflatables and supervise your event to give you an extra piece of mind. All of our equipment is WORKSAFE registered and insured. Our number one priority is for you to stress less and have more FUN! 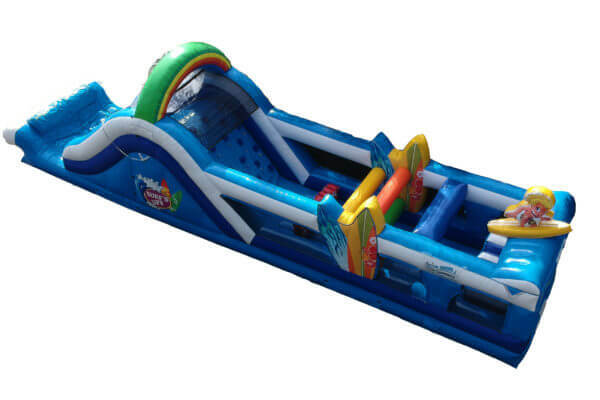 Enjoy our range of inflatable obstacle courses. With heaps of walls to climb, slides to slide down, and obstacles to dodge, your guests will have hours of active fun! 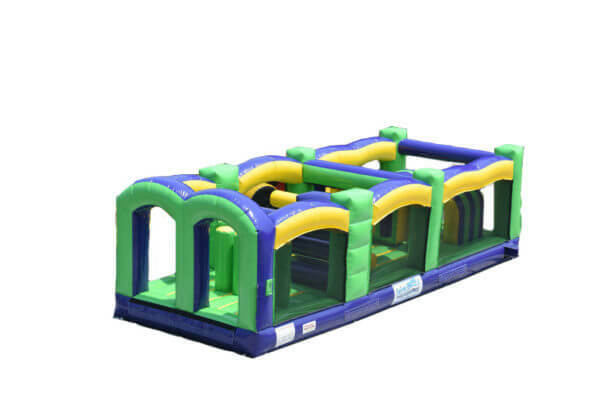 Our classic Inflatable Obstacle course is 15m long and 3.5m tall and holds four people at a time! Want an EPIC challenge? Hire the huge Radical Run at 35m in length! The ultimate contest of strength and endurance, you can race up to 12 friends or colleagues at the one time to weave, dodge, and climb obstacles until the finish. Who will be the ultimate Radical Runner? 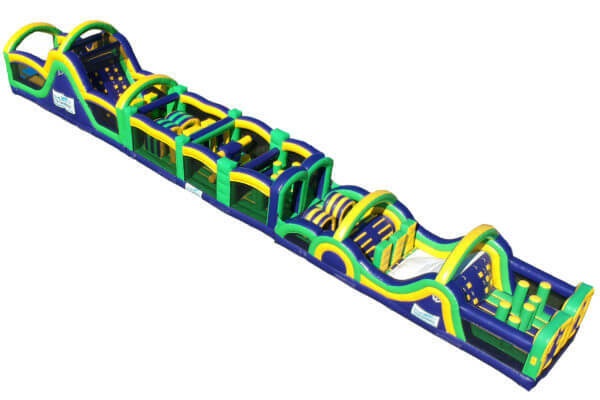 Note: you may also hire the Radical Run Obstacle and Radical Run Slide separately! Hang Ten with the all new Surf’s Up 17m-long obstacle course, featuring fast moving obstacles and the option to add water that’ll have everyone splashing around for a fantastic time! Of course, if you wish, the course can be used without water. This course requires staff supervision. Note: power source is required for all of our courses and water supply is required for our water-based inflatables. No power? No problems – we can supply a generator to you. Costs apply. Do you want to double (or even triple) the fun? Add a giant zorb ball into the mix, or one of our famous giant games – choose from Giant Chess, Mega 4, Quoits, Belly Bumpers, and much more. 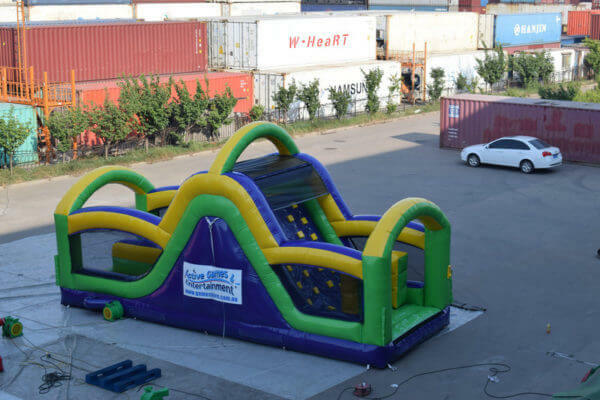 We also offer other inflatables such as the classic Bouncy Castle, the always incredible Velcro Fly Wall, and super water slides. We also have dunk tanks, sumo suits, and everything you need to make your party or function one your guests won’t forget! Do you want to know more about our obstacle courses? Contact us today for a free quote or ask us about customising your own party or function with our range of games and inflatables. Give us a call on 0411 140 249 or 1300 834 346. Alternatively, you can email us at info@gameshire.com.au.